Should Underwater Homeowners Just Walk Away? 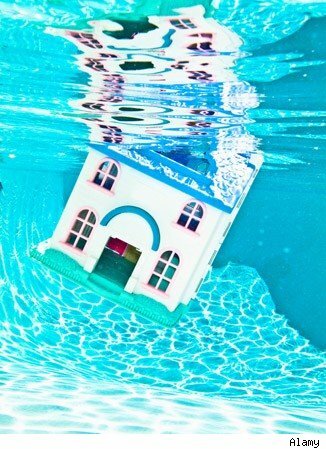 Almost a third (31.4 percent) of homeowners with mortgages are underwater, according to the 2012 first-quarter Zillow Negative Equity Report, yet 90 percent of them are current on their mortgages and continue to make payments. Deciding whether to “stay and pay” on a home that’s worth less than you owe is a tough financial decision, but ultimately, it is one that only homeowners themselves can make. And while it’s fraught with emotion for most, there are a number of financial factors that you can and should consider. In fact, looking at the numbers may help you face the facts and make a better financial decision in the long run. When you were thinking about buying your home, you may have tried a “rent versus buy” calculator. (Of course, those were likely created before the housing meltdown and may have overstated some of the value of owning.) Now, however, you must flip the equation: Look at the cost of continuing to own versus the cost of renting. To do this, spend a weekend hunting for apartments or houses. Go and take a look at rental homes. Find out what’s available, what they cost and what kinds of requirements landlords are looking for in terms of deposits and credit. Get your free credit score and report card from Credit.com. The goal? To get a realistic idea of how much you’d pay to rent so that you can compare the cost of renting with what you are paying for your mortgage. When you look at the “own” side of the equation, don’t forget to factor in periodic expenses such as maintenance (including repairs that will have to be done in the next few years) and property taxes (if they aren’t included in your mortgage payment). One more twist: If your mortgage (or second mortgage, if you have one) is a variable-rate loan, then you should also consider the cost of your mortgage when interest rates rise. Try an online mortgage calculator to estimate your monthly payment at higher interest rates. One of the arguments in favor of owning versus renting is that as you pay down your mortgage, you are building equity. But with so many homes underwater, the real question is “when?” When will your home be back in the black and start building equity? Until it does, you are effectively renting. And how much will that cost in the meantime? Of course, trying to guesstimate future home-price appreciation is like trying to predict where the stock market is headed. Just take a look at the March 2012 Zillow Home Price Expectations Survey. It compiles predictions from a diverse group of 104 experts — economists, real estate experts, and investment and market strategists — to measure expectations about the projected path of the S&P/Case-Shiller U.S. National Home Price Index over the next five years. Read more of this story at Credit.com. What’s Really in Your Credit Report?